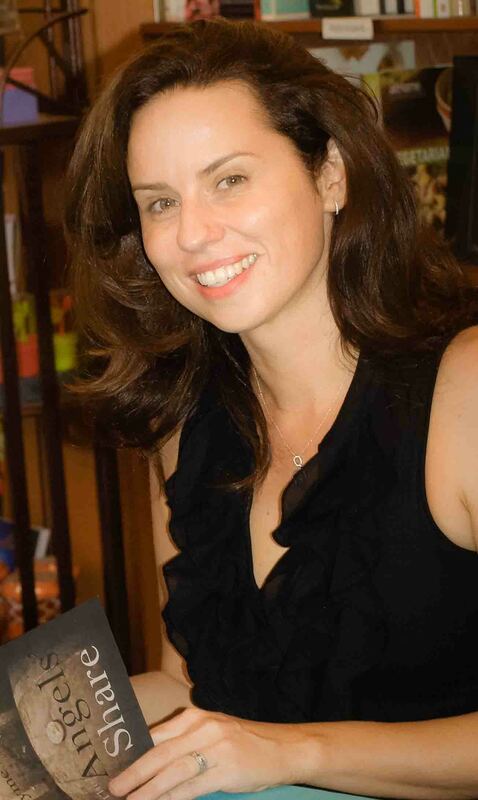 Today we are interviewing my client, novelist Rayme Waters, whose new book, The Angels’ Share was published by Winter Goose Press this August. The novel is the story of Cinnamon Monday, a girl born into the 1970’s Northern California counterculture. Her family, originally owners of a great Nob Hill hotel, have suffered a reversal of fortune. Her parents are hippies without reliable income and have fallen into drug and alcohol dependence. After nearly dying of meth addiction, Cinnamon finds work at a small Sonoma County winery and rebuilds her life through her own resilience and courage. When I decided to represent Rayme, I read her manuscript at the request of a mutual friend (not in the writing world) who asked me to do him a favor and take a look. I could tell by the end of the first page that Rayme had talent and that I really wanted to work with her. The publisher, Winter Goose, is small, so most of the work in promoting The Angels’ Share is going to fall on the author. By the way, this is no less true with authors published by large houses. The single most common complaint I hear from published authors is that the publisher didn’t do anything to promote the book. Today I want to talk to Rayme about her experience and wisdom in promoting her literary novel. Andy: Rayme, when I first finished reading The Angels’ Share, I was sure that you must have been a recovering meth addict. The scenes describing Cinnamon’s addiction were utterly convincing. When we finally met, it was clear that you just weren’t that kind of girl. How on earth were you able to describe the experience with such verisimilitude? Rayme: Before the explosion of vineyards, the two main crops in Sonoma County were apples and marijuana. However, when I was in high school in the 1980s, meth—speed is what we called it—was suddenly everywhere. Meth was cheap and took the edge off rural boredom. Girls thought it would make them skinny. Although I was more a wallflower at the drug party, I watched childhood friends take Cinnamon’s path. In a way, The Angels’ Share honors the memories of these friendships and wishes those friends a happy ending. Andy: Let’s talk about how you, as a first time published novelist, have gone about promoting your book. I know you have been pretty relentless about it. What are the first steps? Rayme: This is my first rodeo and I am certainly learning as I go. That being said, there are some marketing strategies that I’ve employed: create marketing materials that have your basic information displayed pleasingly and professionally, have an “elevator” pitch ready and deliver it with enthusiasm, and work your network—find out who reads, or who would be willing to read your book, then ask them to buy it. Then, if they love it, ask them to recommend it to other readers they know. You have to really ride that fine line between being assertive and aggressive—it’s tough. Andy: Ok. Stop. “Elevator Pitch”. I hear that word a lot at writer’s conferences and by people in film. What’s an elevator pitch? Why do you need it? And tell us the elevator pitch for Angel’s Share. Rayme: Elevator pitch is slang for a two to three sentence description of a novel. Everyone will ask you and you never know who might be able to help you find an agent, be a popular book blogger or be the decider for their next book club pick. I describe The Angels’ Share as the story of a young woman rebuilding her life while working at a small Sonoma County winery. With elements of a mystery and a love story, the novel is a great pick for book clubs. 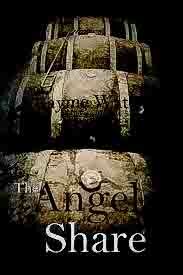 A reader said I should pitch The Angels’ Share as Breaking Bad meets Jane Eyre. I think that’s great, and if I’m ever in an elevator with a Hollywood producer I’d add that in. Andy: Everybody says that an author has to have their own website. Yours is pretty stunning. Can you tell us what goes into making a good site and what features are most effective? Rayme: I really wanted something that didn’t have a “template-y” look to it, so I went to a pro. Ilsa Brink, was willing to do the design work to make my website unique. She’s fantastic and had already done websites for many other writers. It is good to post early reviews or advance praise on your website because you can point people to it when you let them know the book is for sale. Andy: Can you tell us what one can expect to pay for this kind of professionally produced site? Rayme: I saw offers on Etsy.com to design a very simple website for three hundred dollars but if you go with a lot of custom design work and content creation I’d say you are looking at closer to two thousand. I provided much of the content for mine and the price fell somewhere in the middle. Andy: What has been your experience with social media? Are you active on Facebook? Twitter? Goodreads? What else? Rayme: This was a huge topic of conversation at AWP (Association of Writing Professionals) this year in Chicago. Social media can help expand your potential audience, but really how many more books do you sell by Tweeting three times a day? No one can say. My advice would be to do as much social media as you can stand. I have a Twitter account and a fan page on Facebook. I could do more, but just these two outlets keep me as distracted as I want to be from my writing. Andy: What about writers conferences? Have you gone to any? Are they worth it? What should a writer expect to get out of one? Rayme: I have been to Sewanee, Tin House and the John Milton Writers’ Conference. They were excellent networking opportunities and most of the advance praise and university speaking invites I’ve gotten so far came out of the contacts I made at these three conferences. One regret I have is that I didn’t go to more of them and make more connections before the novel came out. I highly recommend them. Andy: Give me a few more details. What is the value of networking opportunities? Other than networking, what kind of concrete and useful information to you walk away with? Rayme: While you can certainly make connections online, when you meet someone in person the bond is so much stronger. At conferences, I met editors of literary journals who I could send stories to directly, agents who wanted to see my work and my workshop leader at Sewanee, Diane Johnson, gave advance praise on my novel. I could have emailed all of these people and asked for the same opportunities, but because they had met me I had a much better chance of success. After meeting people, the next best thing to come out of writing conferences was advice on improving my craft. This came sometimes through critique I received in workshop, but more often in the lectures and panel discussions. It was also very affirming to meet other writers who were in my same situation or a little ahead of me in the process. Stories they told of their own tenacity were encouraging. Andy: Rayme, thanks so much for sharing with us. The Angels’ Share is available for purchase in either paperback or e-book edition. Check out Rayme’s public appearances coming up. I get about 10 queries for fiction every day. Most of the time I reject them after only reading the query letter and try to send a timely and polite reply. If my curiosity is piqued, I’ll request the first 10 pages of the manuscript. And if I get excited by that, I’ll ask for the complete manuscript. Fiction is so hard to sell that I end up representing only a few titles a year out of the several thousand submissions received. What really surprised me when I first started evaluating fiction is that I could usually tell by the end of the first page, sometimes by the end of the first paragraph, whether the writer had talent or not. I thought perhaps there was something wrong with my own critical faculties. But when I asked experienced book editors, they acknowledged that they do the same. Last year at the Book Passage Children’s Writers Conference, I sat in on a wonderful workshop conducted by author Kristin Tracy about young adult fiction. We spent a lot of time looking at some examples of first paragraphs. And we talked about why they worked and how they were able to express so much in so few words. So today I’m going to use 3 examples of beginnings of some young adult titles and try to understand what makes them work. 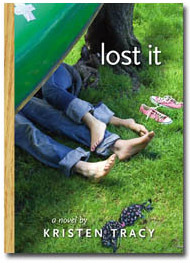 Let’s start with Kristin Tracy’s first novel and see how she does it. Kristin likes to write stories that start right out of the gate. No prologues, no weather reports. And I think that is generally a good idea. She gets a lot of information out in the first 2 sentences without sacrificing the very engaging and natural voice of the narrator. We learn in the first 15 words that this is going to be a story about losing your virginity. We know that the narrator is 16 and her “seducer is probably 17. Important information for a teen reader. We learn that the critical incident occurs under an old canoe somewhere in the wilderness. And we also know from the writing a lot about the tone of the book. The book will probably be funny, given the lighthearted voice of the narrator and even more the comical description of the place where she lost it. It wasn’t in a grave yard or a haunted house (for a paranormal novel). It didn’t take place on the field of Gettysburg (historical). Or in Middle Earth (fantasy). It’s just a cabin by the lake (or something). A realistic genre with a realistic story. The style is fun and you gotta love the character after just these 2 lines. “Late in the winter of my seventeenth year, my mother decided I was depressed, presumably because I rarely left the house, spent quite a lot of time in bed, read the same book over and over, ate infrequently, and devoted quite a bit of my abundant free time thinking about death. Sometimes it’s hard to define great writing. But I usually know it when I see it. 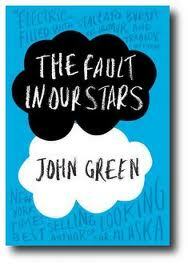 John Green tells us in the first sentence that this is not going to be a whimsical book. And he tells us in the second sentence that it is about disease. And in the 4th sentence, about dying. But what makes this short passage amazing is the way the words get put together and the way the sentences sound when you are reading them. Try reading it out loud. It seems effortless, but it isn’t. Look at his careful selection of words. “Winter”, for instance. I think that word really sets the stage for a book with a lot of elegiac qualities in style and content. This wouldn’t work at all if it began in the spring with blossoms bursting forth. Check out the cadence in these first few sentences. The first sentence is long, lots of subordinate clauses. The second sentence is of a normal length. The third, shorter still and with a kind of staccato feel to it. All a build up to the last sentence, made all the more dramatic by the brilliant use of the rhetorical repetitions of “depression” and “side effect”. A powerful release that hits the reader with a wallop. The Hunger Games, Suzanne Collins. “When I wake up, the other side of the bed is cold. My fingers stretch out, seeking Prim’s warmth but finding only the rough canvas cover of the mattress. She must have had bad dreams and climbed in with our mother. Of course, she did. This is the day of the reaping. 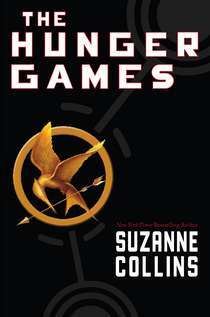 We all know that this book is based upon Katniss’s decision to risk her own life to save her sister’s. And most of the book is about the violence and the horrors of The Hunger Games. To me it seems perfect that Collins begins the book by painting this incredibly intimate scene at home as a contrast to what will befall Katniss in the coming story. Think about the evocative atmosphere of intimacy and love Collins creates in this scene. Katniss’s fingers stretching out, Prim’s warmth. Climbing in bed with the mother where she is curled up. A lot of manuscripts I see from inexperienced writers have similes and figures of speech that seem overwritten and usually miss the mark. But here Prim has a face “as fresh as a rain drop”. It’s simple and short and profoundly expressive. Even the choice of the words adds to the feeling of warmth of the scene (curled, cocooned, cheeks, rain drop, primrose). The few words Collins uses to describe her mother tell us about the harsh conditions of the post-apocalyptic world they live in and prefigure the story to come.